Good dental health is an ongoing concern, even more so as you get older. Now, researchers out of the University of Edinburgh in Scotland have isolated a chemical compound, similar to those in natural licorice root that offers even more help in keeping your teeth healthy. Calcium. Many older people cut down drinking milk, thinking it’s more something kids need to do. Not true. Although you don’t need to get it from milk, or other dairy products, calcium is very much continuously needed throughout your lifetime to keep your teeth, and bones, healthy. 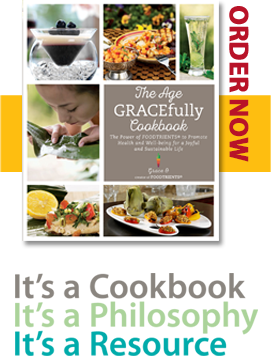 Good substitutes for dairy are almond, soy, or coconut milk. Magnesium. A recent Gallop poll found many seniors (79%) to be chronically low in magnesium, especially if you take any prescription medications. It’s one of the top reasons why many seniors (67% says the National Sleep Foundation) have trouble sleeping. 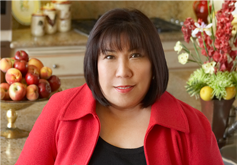 It’s also one of the top reasons they start to suffer tooth loss and decay. Magnesium supports calcium and helps keep it in the enamel of your teeth. If it’s deficient, your enamel breaks down and your teeth become porous and at risk for decay and loss of strength. Iron. Helps prevent inflammation of the tongue and mouth tissues. Zinc. Helps keep down chronic mouth bacteria. Vitamin A: Keeps skin (and dental tissues) healthy. Vitamins B, C and K: Fight inflammation and bleeding of your gums and tongue that promotes tooth decay and loss. Vitamin D: Supports calcium which strengthens bones and teeth. Water. As people get older, their thirst triggers decrease. As a result, many seniors go around in a constant state of dehydration which wreaks havoc with your teeth and dental tissues. A dry mouth promotes tooth decay as it allows chronic mouth bacteria to overgrow. Whether you feel thirsty or not, drink at least half your weight in water ounces every day. For example, if you weigh 180 lbs, you should drink 90 ounces of water a day and more if you’re sweating alot. Hygiene. There’s a reason your dentist asks you to floss at least once a day. After you brush your teeth, your teeth and mouth may look, feel, and smell clean. But, all it takes is a small particle of food wedged between your back molars and your gum to start the process of gingivitis, decay and tooth loss. Make a regular habit to floss your teeth before you go to bed, when the most concentration of mouth bacteria occurs. Now, speaking of bacteria, let me get back to that special compound. The researchers are calling it “trans-chalcone”. It is very closely related to the natural compounds found in natural licorice root (licoricidin). The researchers at the University of Edinburgh found that this compound blocks a key enzyme that allows the most potent mouth bacteria, Streptococcus mutans, to thrive. Strep mutans acts with the sugars in your foods and drinks to form a destructive acid that eats away at tooth enamel. So, if you don’t brush your teeth, or at least rinse your mouth after eating, these bacteria can really go to town on your teeth and dental tissues. Trans-chalcone not only blocks Strep mutans from growing, but it prevents the buildup of plaque. Plaque buildup fosters inflammation of the gums which leads to gingivitis and, often, tooth loss. The researchers are now looking at avenues to add the trans-chalcone compound into oral care products (toothpaste, mouthwash, etc). But it may be a while before trans-chalcone gets into your favorite toothpaste. In the meantime, you can get the same protective benefits it by adding natural licorice root to your diet. Licorice root has been used for centuries in Traditional Chinese Medicine (TCM) to fight many illnesses associated with bacteria. 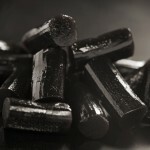 As I mentioned earlier, licorice root naturally contains the compounds licoricidin and licorisoflavin A. Likely, trans-chalcone is derived from these. These 2 licorice root compounds also inhibit the growth of the Strep mutans bacteria and prevent plaque build up. But, don’t go out and buy a pack of licorice candy! 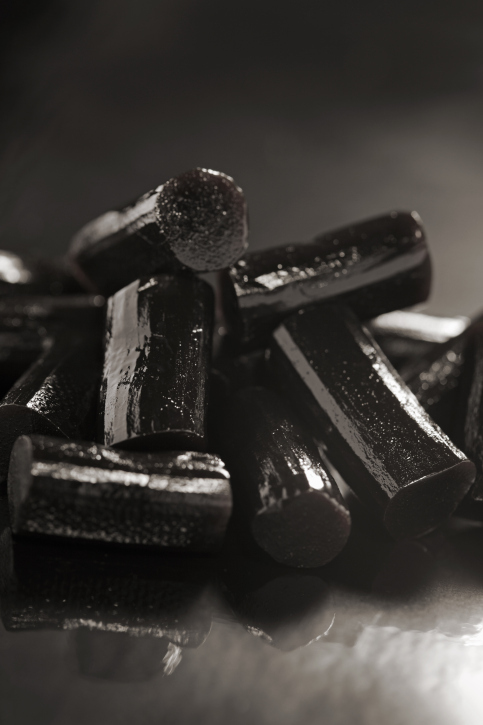 Most commercial licorice is flavored with anise and your teeth really don’t want the sugar content. Instead, look for natural licorice root tablets, extract drops, or even licorice root tea. But make sure it says “deglycrrhized” licorice (DGL) root as regular, “glycrrhized” can raise blood pressure and cause you to retain water and salt. Both forms may interact with some prescription medications, so please ask your pharmacist about using it with any medications you take. In the meantime, getting the best nutrition, staying healthy in general, and practicing the best dental hygiene will go a long way to keeping your teeth healthy.